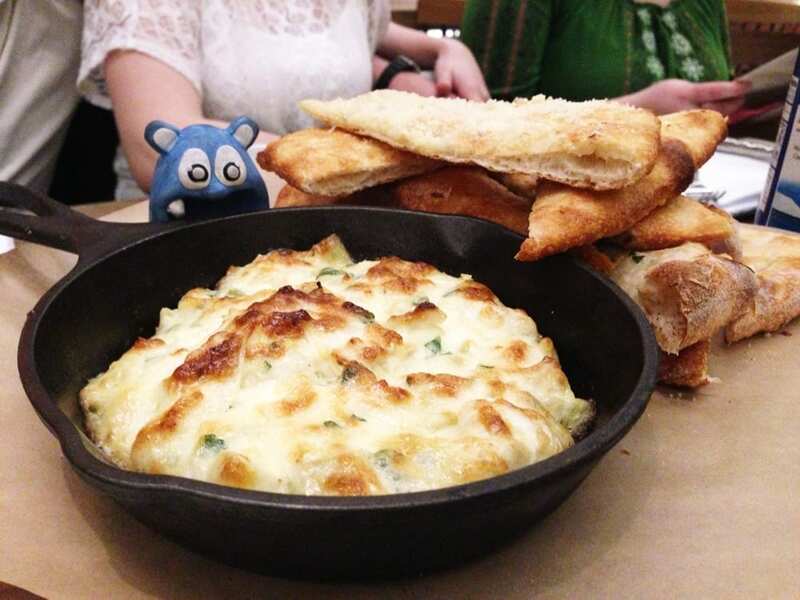 Is it hot in here or it’s just me all excited for the best appetizer in town Hot Maryland Crab Dip from Farmers Fishers Bakers in Georgetown DC’s fashion neighborhood. Happy to return to one of our most favorite foodie spots in town. 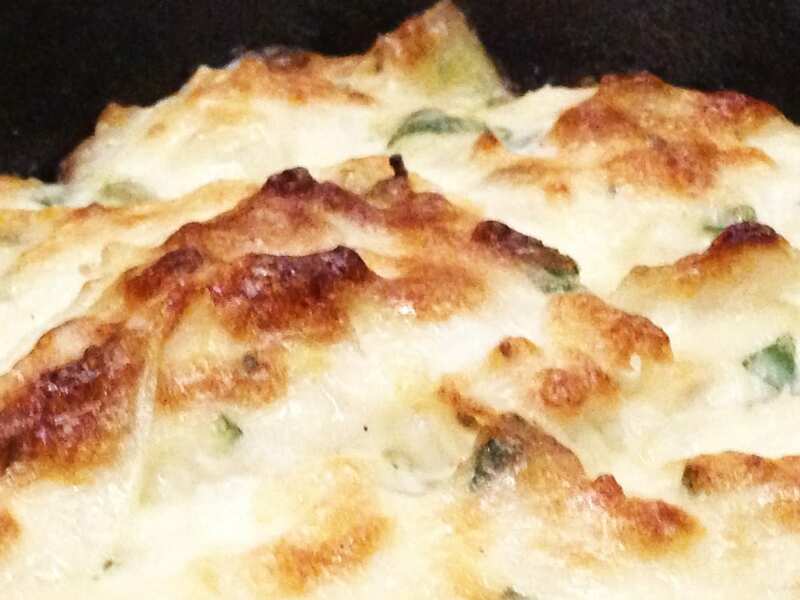 Take some flatbread and dip it into this amazing gooey crab dip goodness. This is one of the most delicious appraisers we’ve ever tried. 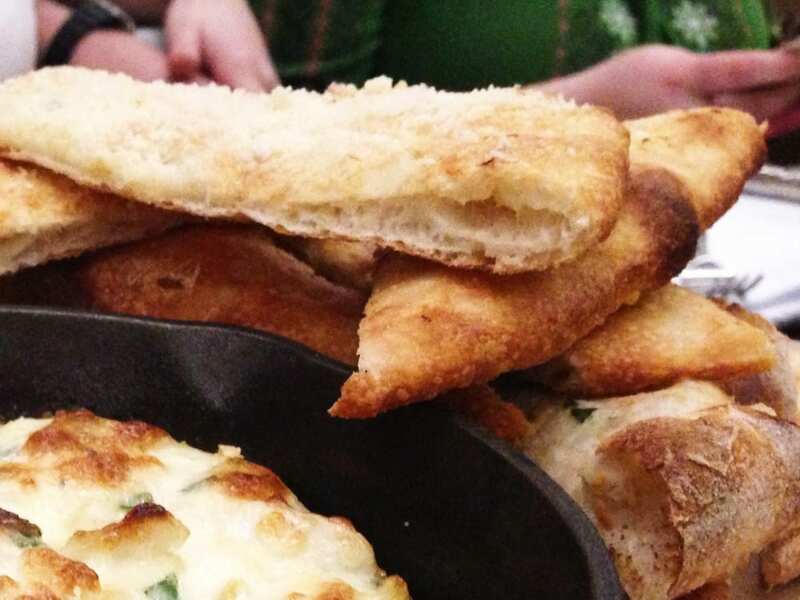 Flatbread is very light and great for just smothering it into the cheesiness of Maryland crab. I’m still drooling just thinking about it. It’s so good you just might burn your mouth!!!! Yea, be careful it’s hot. Pretty heavy dish and we got full even when sharing with a friend. Such a large serving for $12, you really can’t go wrong with it. Great way to start your foodie adventure. This is a must order dish!! !